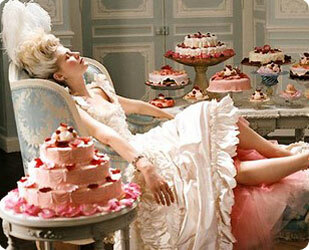 I love sweets. Period. I believe my particular love of ice cream is encoded in my DNA as I seem to have passed this to my daughter, Mars. She will always ask for ice cream as her treat, especially when on vacation. Last summer we frequented a local ice cream shop, The Big Dipper, in my childhood hometown which offered any of the available flavors, huckleberry and coconut two faves, dipped in chocolate. The handmade ice cream is delicious and reminds me of Jeni’s Splendid Ice Cream. Her story is inspiring and in addition to her own ice cream shop she has a cookbook, Jeni’s Splendid Ice Creams at Home, so that we all can enjoy amazing flavors like salted caramel, goat cheese with red cherries, juniper and lemon curd, and reisling poached pear while wearing our P.J’s and catching up on The Big Bang Theory, or maybe that’s just me! Last summer I purchased an ice cream maker and was surprised to find out how easy it is to create homemade ice cream. My daughter likes the basics, vanilla, chocolate and strawberry, however, chocolate was our first foray into the world of churning ice cream which also doubled as Christmas gifts for friends; topped off with crushed peppermint candy canes for garnish, a homey gift that was also delish. 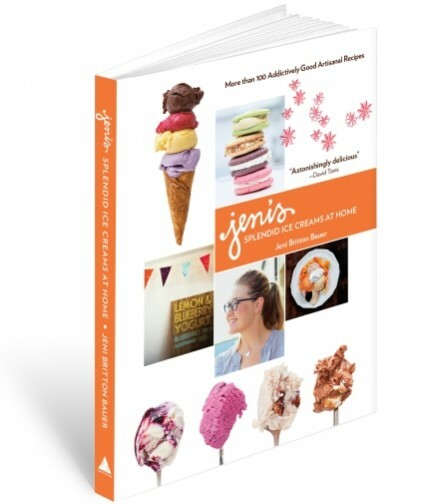 I have to admit, while perusing Jeni’s Splendid Ice Creams at Home, (that seems like an oxymoron, cooking ice cream…just sayin’), I marked a few recipes for Mars and I to try this summer. 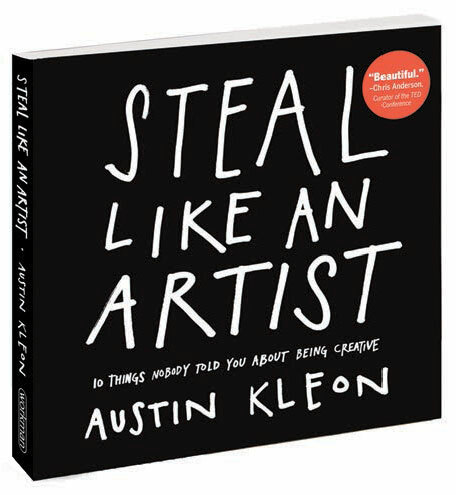 Steal Like an Artist is a little gem of a book. Filled with concise, thoughtful and creative pearls, it helps one realize that there are no original ideas. So lasso and wrangle all that inspires you, sift it then create infused with your form of expression as how you express your gleaned ideas and inspiration is as unique as your fingerprints. We all shine our own light of being. Who doesn’t love top ten lists? I’m not sure about number 9, but number 3 is a given as Glow is a culmination of what I’ve read and still yearn to read, number 6 is the impetus for this blog, A Renaissance Glow, and, finally, number 1 precipitated this post. 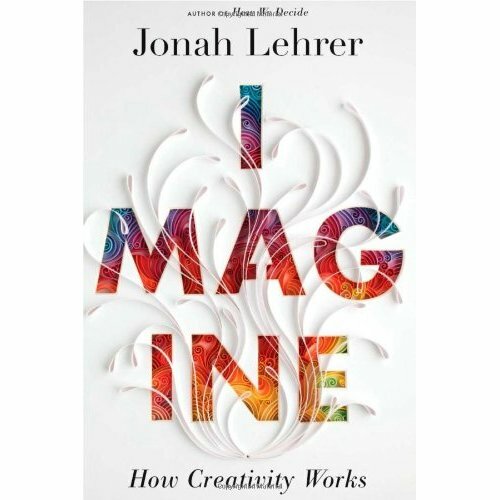 This book Imagine is in my pile, yes pile of “books to read next”. I have a major vice in collecting the written word. Match that with Powells, a local bookstore spanning a whole city block then add the ability to wander the stacks with an iced soy latte in hand and you won’t see me for hours. I sometimes get lost and either phone a friend, if one is with me, or use a little psychic GPS (hey it comes in handy) to find the cashiers with my arms full of books. Some have a clothing budget, but I have a book budget…it’s true. I told you I have a book problem (I also have a handbag problem but that’s another story…). I am very interested in this perspective about the science of creativity, as it merges the two major spheres of my brain, my logical thoughtful side with my abstract creative mind. Sometimes I get lost between the two, so when the opportunity arises for me to see a bridge between, I reach for it. I like bridges, they help me go from here to there and there to here. 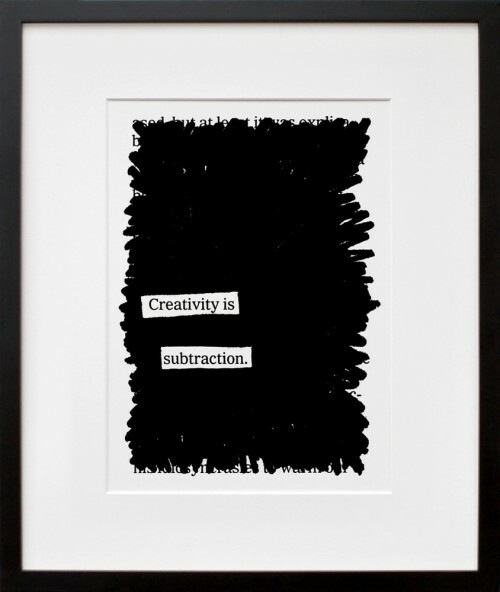 I have always written poetry and did the opposite of what poet and author Austin Kleon has done in blacking out newspaper articles leaving a few words comprising his prose. I used to painstakingly cut words out of magazine articles, put in a shoe box or bag and then randomly pick words and “write” poems. I adore this particular piece of his as often we feel we need to add more more more to create rather than stepping back and letting the truth shine without the side of drama. If you have a few open spaces on your wall and are looking to fill it creatively give his website a look OR if you’re like me and always searching for fun interesting reads, he has a compilation of his works called Newspaper Blackout. Check it out. I love the whimsical designs by papayaart.com. I discovered the cards and prints while grocery shopping. One of the aspects I adore about Whole Foods is the variety of products available, it’s more a market boutique than grocery store. I have to admit I first would call it pa pa ya art until I realized, it’s papaya (as in the fruit). Who wouldn’t love some flowers in one’s hair along with glitter highlights? 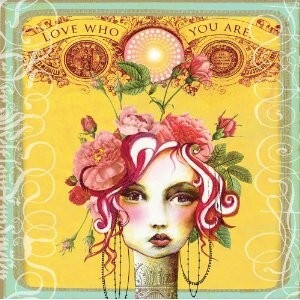 But I especially love the message “Love Who You Are” and I’ll add, even if you’re still making that acquaintance. This particular glicee piece hangs above my creative space reminding me that no matter what, I am who I am and that is all I ever need to be. Having a 4-year-old means I’ve seen a few more recent Disney movies than the average woman my age, however, I have to admit when I saw this image of the Taiwan Lantern Festival on Pinterest, I was awe struck by the floating lights thinking that the only sky filled with such a display I’d ever see was the one in the Disney movie, Tangled, as a similar scene unfolds magically. All I know is that we need more bright night skies in this world, too often we settle for the dark when we could be shining our light. 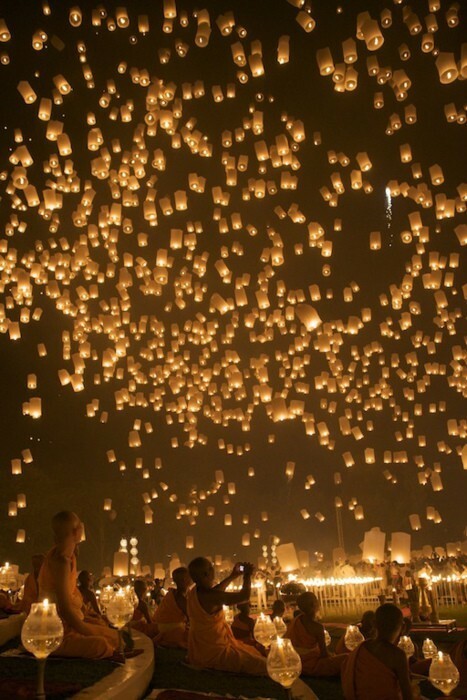 The Taiwan Lantern Festival is definitely on my Globe-Trot wish list! I hope you enjoyed My Renaissance Cake List, I know I enjoyed putting it together. Be well! This is such a beautiful post — both images and prose. I’ve got to check some of these reads out; they sound right up my alley. :).